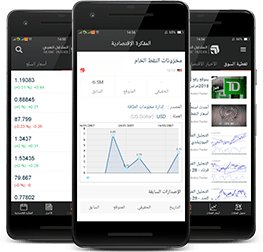 • اليورو اليوميه الاتجاه هو bearish لأن الخط الاسود (مركز الثقل) يتجه نحو الانخفاض. وهنا على المرء ان يبحث عن المناسبه - نقاط البيع بدلا من الاضطرار المرح الرهان على صعود اليورو بالنسبة للوقت الحاضر. • نلاحظ ان الخطوط الارجوانيه من اداء دورهم تماما. في اقرب وقت العملة الاوروبية ليصل الى مستواها ، ومن كرة مرتده وتذهب في الاتجاه المعاكس نحو مركز الجاذبية. • اليوم الخميس 21 القديس نيسان / ابريل ، على ما يبدو هو انتعاش اليورو على مستوى المقاومة الاولى براون وتبذل لخط أسود. احتمال ان هذه الحركة يأتي من هو 80 ٪. غدا ينبغي لنا مشاهدة ما يحدث في المنطقة من الخط الاسود. واذا كانت السوق بشكل كبير خلال فترات الراحة ، فإننا سوف متوجهه الى 1،28 بسرعة معقولة الاسبوع المقبل. Would you like to have a go at analyzing this daily chart of the Euro against the dollar? • The Euro's daily trend is bearish because the black line (center of gravity) is heading downwards. Here one has to look for the appropriate sell-points instead of having fun betting on the rise of the Euro for the time being. • We note that the purple lines carry out their role perfectly. As soon as the European currency reaches their level, it rebounds and goes in the opposite direction towards its center of gravity. • Today, Thursday 21 st April, it seems the Euro is rebounding on its first brown resistance level and is making for the black line. The probability that this movement comes off is 80%. Tomorrow we should watch what's happening in the area of the black line. If the market significantly breaks through it, we will be heading for 1.28 fairly quickly next week. نعم يشبه المؤشر vega او ربما هو نفسه مطور نرجوا من الخبراء تطويره..
اموت واعرف ياهاها دى اى لغة؟!!!!!!!! !